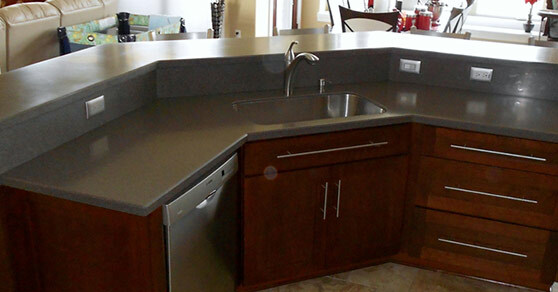 Countertop Surfaces | St. Louis, MO | JP 3 Inc. 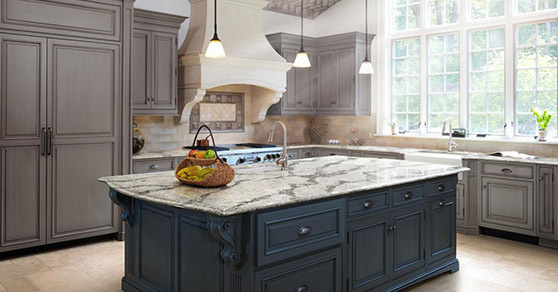 Granite is a beautiful natural stone product that makes a perfect choice for kitchen and bathroom countertops alike. 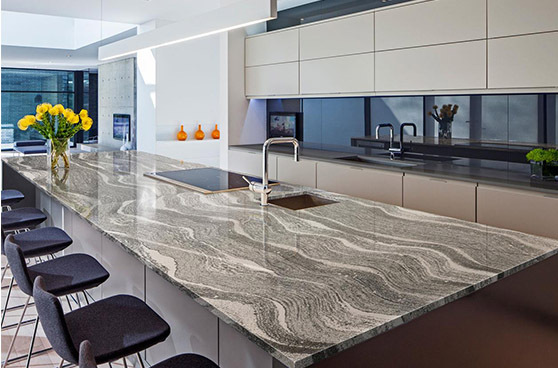 With hundreds of unique patterns and colors, many of the granite variations feature a depth that has yet to be replicated by manmade products. After being mined from the earth, this natural stone is split into large slabs. It can then be polished to feature a high gloss or treated using a variety of other finishing techniques for a wide range of different looks. As a naturally occurring material, patterns from the same type of granite will vary from slab to slab, and coloring may even differ among one half of a granite slab and the other. 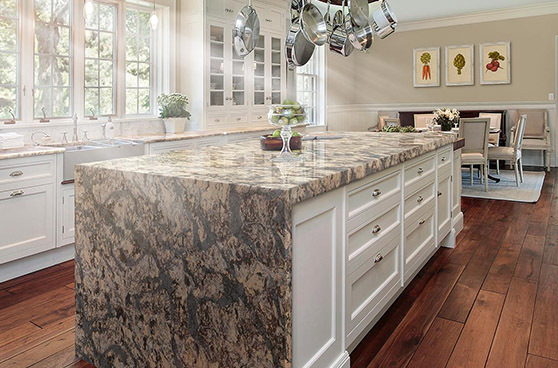 Because granite is a porous material, you will have to seal it if you intend to use it for your kitchen countertops. Simply spray on the sealer over the surface of the granite countertop and wait a few moments, then wipe it away and you’re good to go. Resealing your granite countertops once a year is recommended, as you don’t want to over-seal your countertop and make it dull. 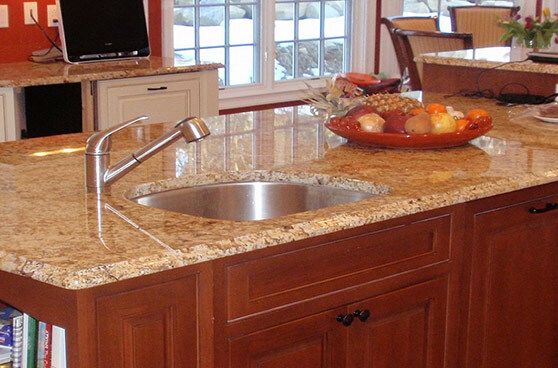 As long as they are sealed properly, granite countertops are resistant to any type of stain. 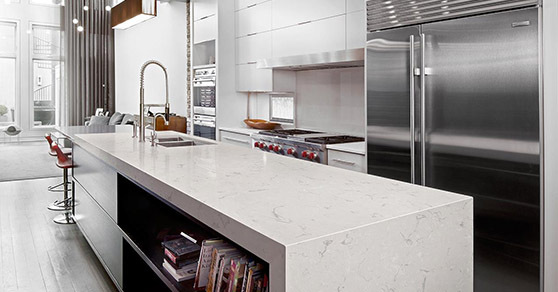 Quartz countertops are just as beautiful and durable as granite, but quartz is a manmade product. Comprised of ground quartz rock and set in resin with dyes, quartz features colors and designs that mimic granite’s large flowing patterns well enough that an untrained eye is usually unable to tell the difference between the two. Like granite, quartz doesn’t scratch easily. However, our quartz countertops differ from granite in three main ways. 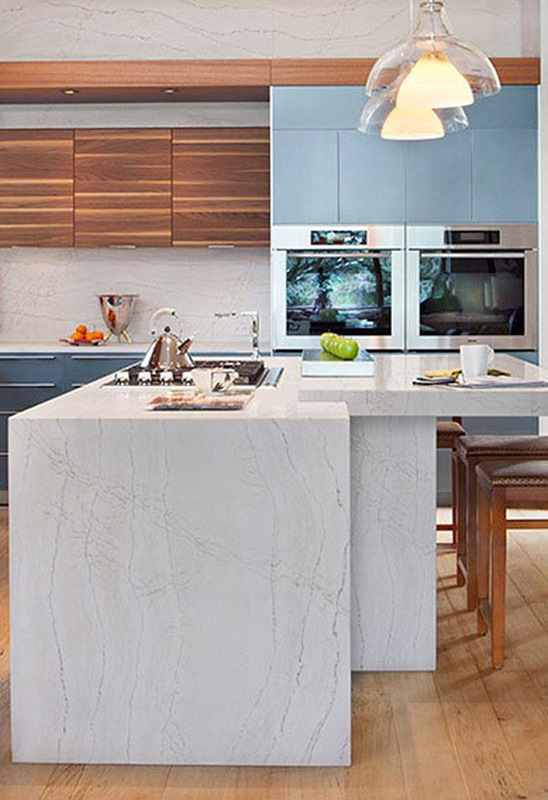 Unlike granite, quartz requires no maintenance, is nonporous (so it won’t stain), and its colors and patterns are consistent. 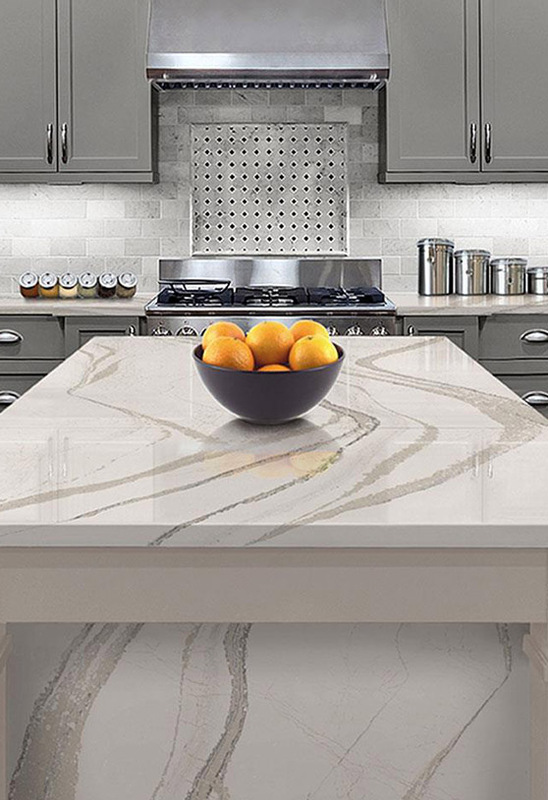 If having a consistent countertop design is an important factor for you, then a quartz countertop is a perfect fit for your home. Laminate countertops are a durable and relatively inexpensive option for any kitchen or bathroom. 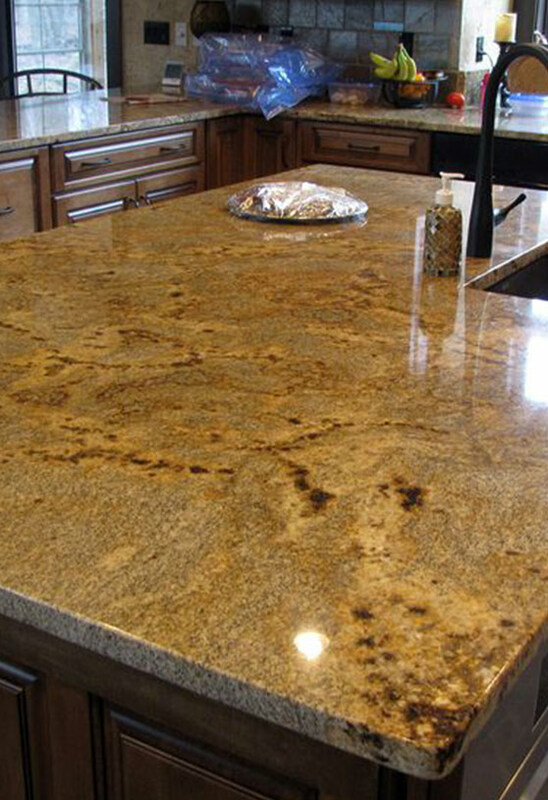 We carry a wide variety of laminate countertops in colors that are designed to mimic granite’s large flowing patterns. Laminate is composed of plastic that has been heat-molded and glued onto particle board or wood. This makes laminate kitchen countertops easy to clean and resistant to stains. Contact our staff to learn more about our countertop surfaces. We serve homeowners in St. Louis, Missouri, and the surrounding areas.